THE Mr Price Group is set to open its first physical stores in Australia later this year selling Mr Price clothing and home products, and this time market commentators are more optimistic about a South African retailer succeeding Down Under. CEO Stuart Bird made the announcement on Tuesday with the release of the group’s financial results for the year to March, in which it bucked SA’s retail sector gloom. The group’s headline earnings per share rose 21% and its dividends per share climbed 20.3% in the period. The company’s share price rose 2.39% on Tuesday to close at R235.49. “We have been focused on identifying new markets for expansion of our Mr Price and Mr Price Home chains. Based on online testing and detailed desktop and on-the-ground research, we believe there is an opportunity for a fashion value retailer in Australia,” Mr Bird said. “Our plans there will commence with Mr Price opening test stores this year in time for festive season trade,” he said. The company would fund the new Australian stores using its cash resources. 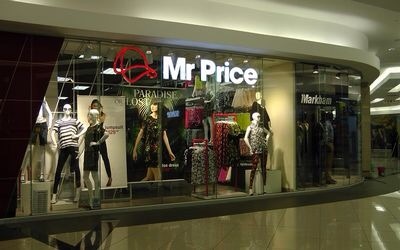 Sasfin securities deputy chairman David Shapiro said while Australia had an extremely competitive retail market, Mr Price had proven itself to be a “very well-run retailer with a strong management team”. “If anyone can do it Down Under, it’s them. Their management team is excellent and that is really what they are about. People like to shop at Mr Price. Their online store, which opened a couple of years ago, has been very successful and they have a formula to sell well in the parts of Australia which they believe will serve them well,” he said. Investment analyst Simon Brown agreed that Mr Price was seen as a company that had a better chance than most of succeeding in Australia. “Generally it is a global trend that when retailers head to new countries, they struggle. We have not had many success stories there yet,” he said. During the financial reporting period, Mr Price’s total revenue grew 13.9% to R18.1bn and its retail sales increased by 13.5% to R17.3bn. Posted on June 4, 2015, in #retail, #uk. Bookmark the permalink. Leave a comment.